After an exploration of geometric morphological forms — the square, the rectangle, the circle, arrays of stripes, lines, and dots — a three-dimensional synthesis in the form of cityscapes was developed. Now, it is time to bring these elements together in a more abstract manner that is nonetheless based on reality. 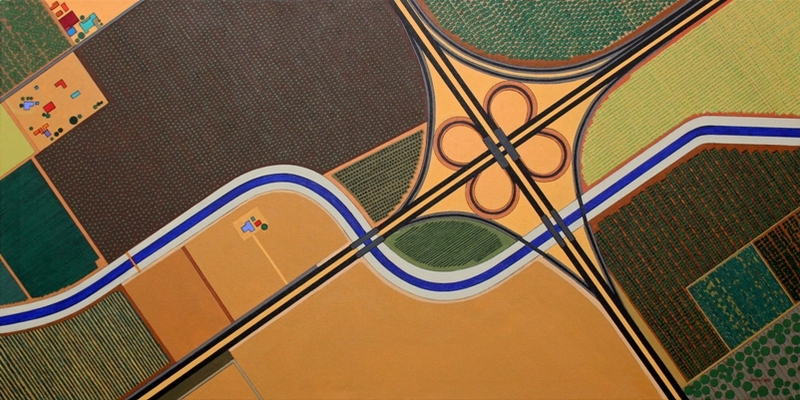 The Resonance Series reduces the bird's eye perspective of cities and rural terrain to its basics. Solids, intense colors, and geometry, the Bibel hallmark, persist. These images are part of an ongoing series begun in autumn 2008, This page is of experimental works derived from cityscapes and architecture. NOTE: All reduced and overly processed images fail utterly in even hinting at the quality and true colors of the actual paintings and their effect on the viewer. 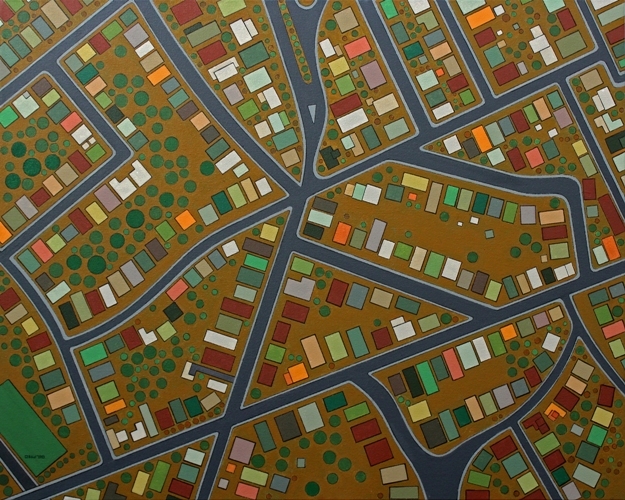 Rockridge (2019), 36 × 36 in. 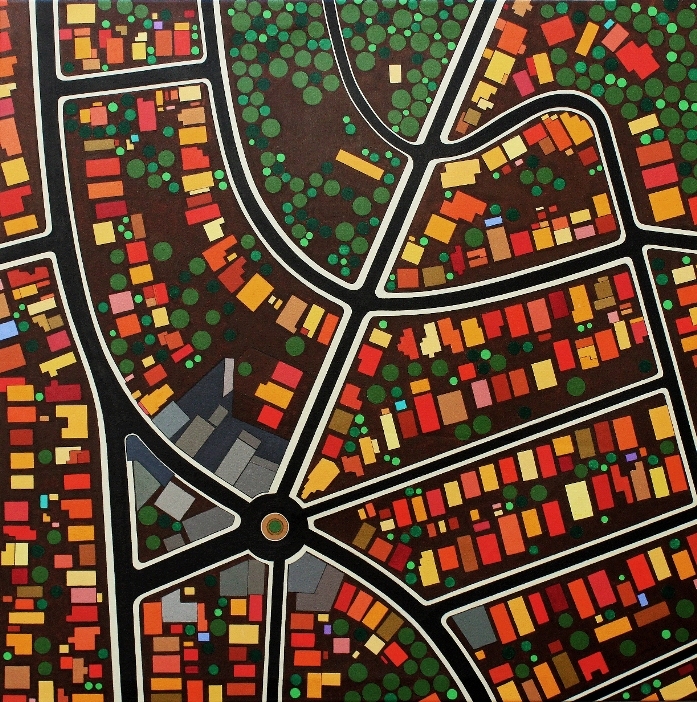 Kensington Circle (2019), 36 × 36 in. 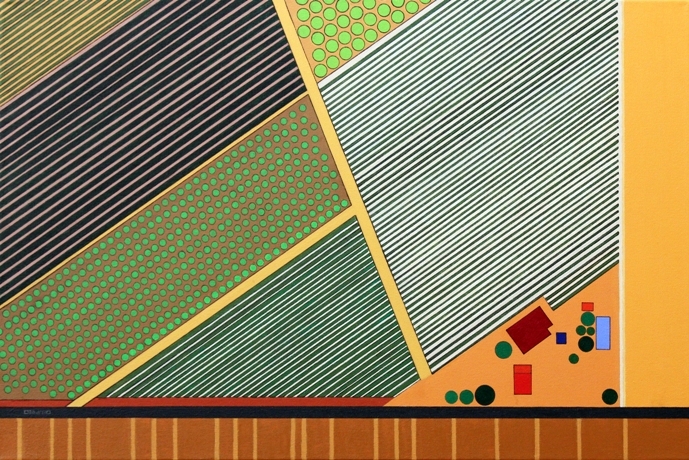 West of Modesto (2019), 48 × 24 in. 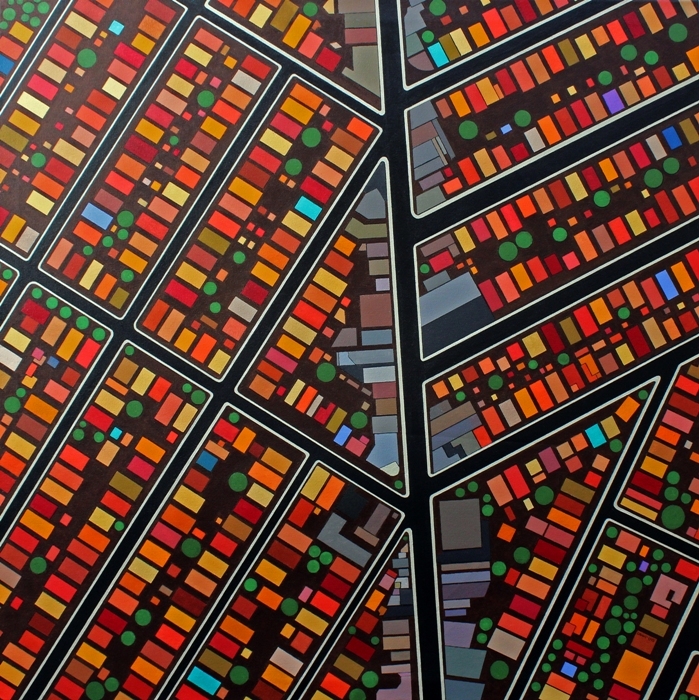 Barstow Avenue (2019), 30 × 20 in. Familiar Territory (2019), 30 × 24 in. Note: This is the experimental prototype of this new series, begun in December 2018 and completed in January 2019.